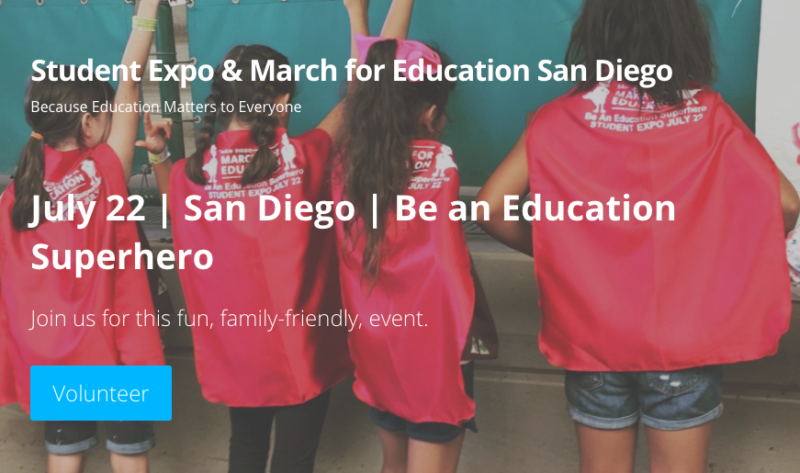 If you live, learn, parent or educate in the San Diego area, join thousands of your friends, colleagues, students, and fellow citizens as we amplify the national voice in support of a transformed system of education. On July 22, come out for the Student Expo and March for Education, a short walk from Civic Center Plaza to Washington Elementary where dozens of examples of transformed student learning will be shared. I will be one of the speakers, but the real stars of this day will be the students and teachers who are not waiting around for approval; they are changing education right now in order to prepare our kids for the future!